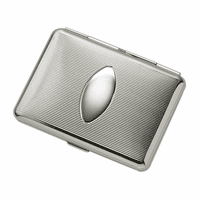 FEATURES/SPECS This solid steel cigarette case has a cheery, sunray inspired design on a polished silver body. 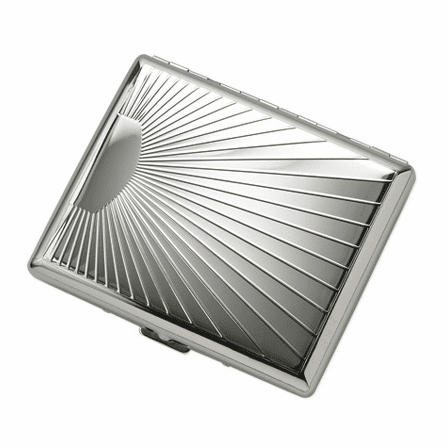 The sunrays meet at the base to form a smooth engraving area, where you can add the inscription of your choice free of charge. 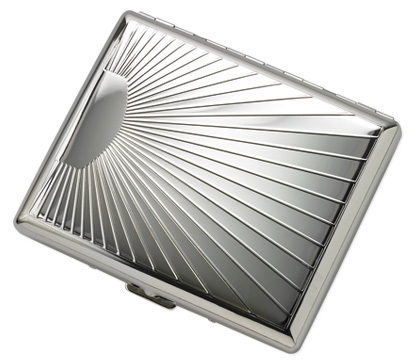 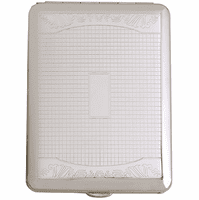 This case is made from solid aluminum and can hold up to 18 king-size or 100's-size cigarettes and has lightweight metal arms to keep them in place.